Singapore Repertory Theatre (SRT)'s current production, "A Peter Rabbit Tale" is playing at KC Arts Centre – Home of SRT, located along the Singapore River at Robertson Quay. 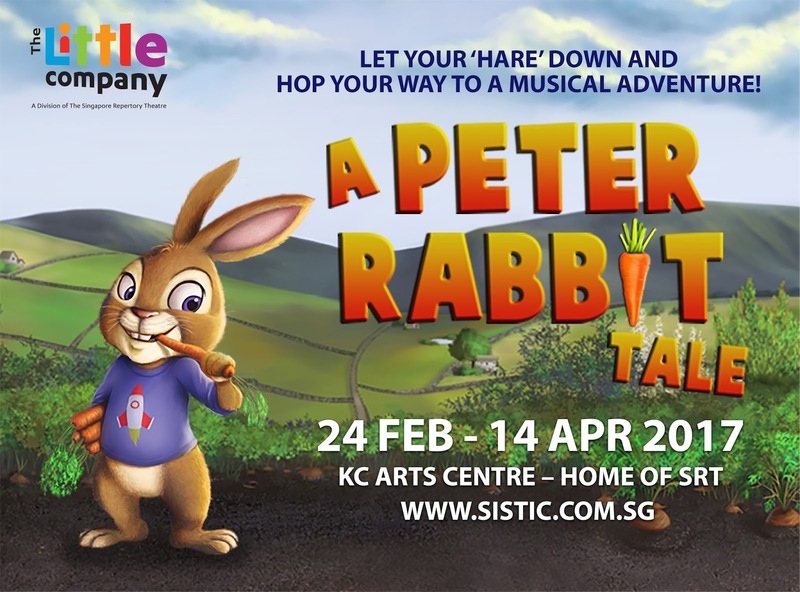 This musical play about a mischievous rabbit named Peter, who had to run away from home after stealing from Mr. McGregor's garden, will end its run on 14 April 2017. 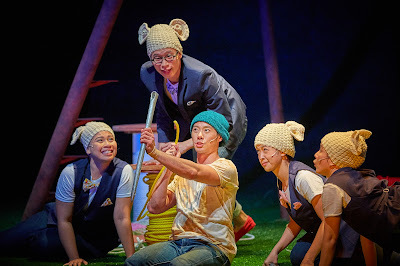 Suitable for 2 years old and up, this play touches on the importance of family and teaches little kiddos to cherish their loved ones as well. We are excited to partner SRT in hosting this special giveaway of 1 x 4 tickets to the play at 11am on Sat, 01 April 2017 (worth a total of $129). Be sure that you are able to make it for the show before you participate in this giveaway! 4) Comment in the Facebook post once done (tagging your friends who will be interested would be great)!